The process of cooking fascinates me, the way in which things change and transform under the eye and hand of a cook, how they become something more than they started out as. I realise the gulf in technique and understanding between an enthusiastic amateur and the professionals … I cook a lot, but I merely dabble in a world that immerses others, that becomes their whole life and their calling. To be the best, the very best, requires dedication and perseverance, but also superhuman levels of skill and inventiveness. Cooking is both a science and a creative art. It sits right at the junction of procedure and innovation. Both are vital to create something truly good, something truly astonishing … a clear understanding of how ingredients work and the spark of inspiration that guides them to be handled and put together in a certain way. These culinary magicians are few, scattered wide. One such master is Ferran Adria, three star Michelin chef of the recently closed El Bulli in Roses, Spain. 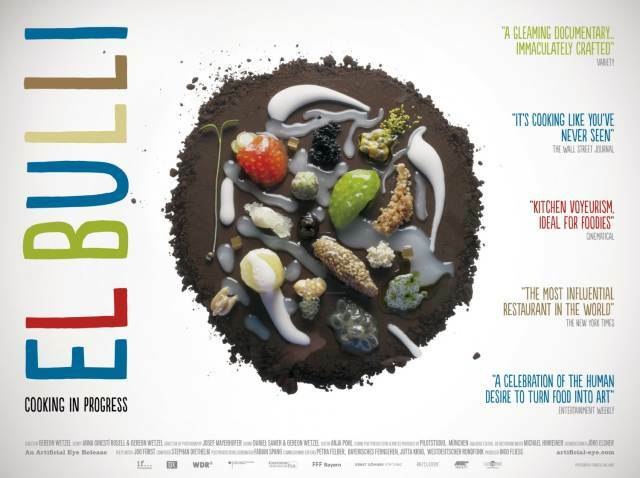 El Bulli ran a six month season, taking eight thousand reservations in a single day in January, eight thousand reservations from two million requests. The lucky few were cooked for in services of fifty by a brigade of forty of the world’s best chefs, forty magicians, working in a regimented production line, arms and hands moving in perfect precision, constructing, building, creating. For the other six months, Adria closed El Bulli down, packed up its gear, its whole kitchen and moved it two hours south to the magnificent city of Barcelona. It was here, with the city’s wonderful, intoxicating markets as backdrop and muse, that Adria and his close team of trusted lieutenants developed the next menu. They scoured the city, propping up tapas bars, thinking and plotting, quizzing stall holders about their produce, try to tease the secret calendar of catches out of a fishmonger, endure the mocking of a grocer at their request for six grapes – just six. “Why buy a kilo? We’re just experimenting”. The market traders know them and their game, know what they need. It’s this gap, this creative space that’s the focus of this documentary film, a glimpse over the shoulder into the heart and mind of a kitchen in full flow. Slowly, the experiments start. An ingredient cooked one way, photographed, criticised, weighed, measured, rejected then cooked another way, the vital building blocks of a menu gradually emerging from the lab-like kitchens, forming together into a glorious whole. Adria oversees this with an impassive eye, a stern, unforgiving godfather desperate to be impressed. Playfulness creeps across his face momentarily when something hits home, but his poker face remains, the mask of a man at the height of his powers and in total control. “Don’t think that you’ll wake up one morning and get the idea. Day by day, you’ll see the work it takes to be creative”, Adria tells his brigade on opening night, work that finishes in three hours, thirty-five dishes, fifty diners, forty chefs, three stars, six months. This process, the effort involved in closing, moving, creating and opening was the heart of El Bulli. It helped the restaurant become one of the best in the world, pushing creativity and inventiveness to new levels, driven by curiosity and dedication. Adria’s work was the best, his food beautiful, his dedication faultless. To see the process of creativity happening, the quiet lulls and the quick need to please the master with some new twist or combination is a rare opportunity, and a fascinating one at that, the collision between science and art laid open. What an amazing process. That attention to detail is so admirable and it makes me exhausted just reading about it! That’s true dedication to one’s art.